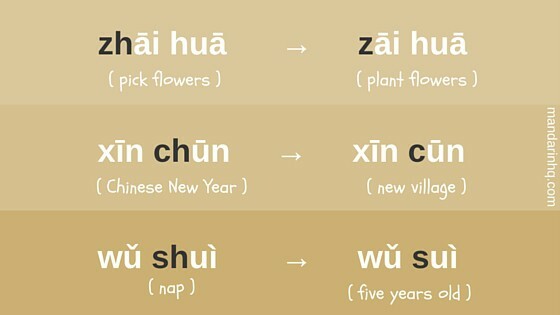 For example, you may hear zh, ch, and sh pronounced as z, c and s (because zh, ch and sh involve rolling the tongue and this is not a feature of these speakers’ local "dialects"). 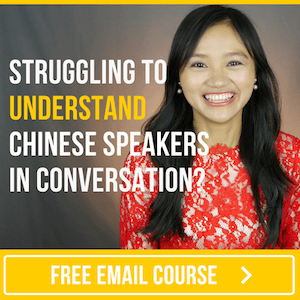 "So why is this important for me as a Mandarin learner?" you might ask. Well, just imagine someone saying the words on the left side of the table below to you... With the sound changes, they're pronounced exactly like the words on the right! Plenty of potential for confusion. Fortunately, once you become aware of and learn to recognise the “sound change patterns”, you’ll often find that context goes a long way towards figuring out what’s being said. The video below will help you take a step in that direction by showing real examples of some of the main sound changes you’re likely to come across. Press play and try your best to hear the changes as they’re highlighted in the video! Now, of course, you’ll find plenty of people in “the South” who don’t mix up any of the sounds highlighted in the video. And, of course, you’re much more likely to hear certain sound changes in some areas than in others. The reason for this is simple. … and each of these add their own unique flavour to their speakers’ Mandarin accents.